So how to find these? There’s quite a list in this article here but also this recent article which gives an overview of Greenpeace’s assessment of the main suppliers in France. Looking at the two lists I would think that you could pass RT2012 by signing up for EDF’s green tariff but according to Greenpeace you’re probably being greenwashed and unlikely to be actually buying energy generated from renewable and non-polluting sources. One of the companies I lik the look of is https://www.ilek.fr. There’s also https://www.enercoop.fr, which also has non-capitalist credentials. Enercoop has a similar feel to Green Energy, which is the company we used in the UK and is also a cooperative. You might be thinking well, how green is it really to be buying energy from a company, but this recent article from the Centre for Alternative Technology suggests that connecting to the grid is a better solution than going off grid. It’s worth remembering that all technology has an environmental cost. Also, if you are generating energy that you are contributing to the total amount of green energy that is available for sale to others who perhaps don’t have the means to invest in solutions themselves. If green electricity is flowing in, the demand that needs to be met by dirty energy (and in that I include nuclear) is reduced. Which also feeds into this article about how being green has become something we do (and get to feel smug about) on an individual level when really collective action is needed. Ilek seem to have a comprehensive calculator on their site, giving info on expected payback times and also taking government grants into account. For RT2012 one of the ways around having to have expensive solar solutions is to fit a thermodynamic boiler. This one on Mano Mano is 1.5k euros and may be what we need. According to one green energy site they reduce the annual cost of heating water from 350 to 80 euros for a 4-person house. 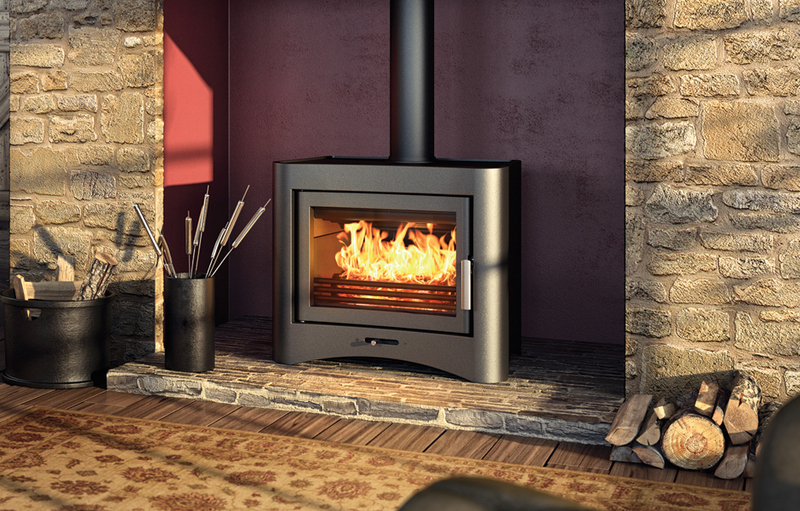 A Simple Woodburner or a Boiler Stove? Someone in a self-build group suggested a boiler stove instead of just a burner requiring separate water heating. The oone they linked to had a heat output of 2kW with 8kW going to the water. That seems low given we’ve been told we need a 10kW stove for m2. Cost wise they’re not much difference though. Something to consider? This one, the Stratford EBW12, has a total output for 24kW, of which 6kW goes into the room and 11.8kW into the water. It has a direct air supply (required by RT2012). Trying to find out why you’d choose a water heating stove and the Centre for Alternative Technology have an article suggesting that it’s not worth it unless you have a super-duper stove such as the Broseley eVolution 26 boiler. With this you get 10kW for heating and 15.8kW for hot water heating. I can’t find a price for it though! I got a message back from someone else about an hours drive away building a GREB house with a similar budget to us. They have a new baby so are pretty busy right now but are happy to be in touch so I will email him back asap. He recommended getting in touch with the free architect, CAUE, and also with Ariege Conseil Energies Renouvenables (http://acer09.fr). I’ve seen that site before and now I have a recommendation I’ll follow up with them. I’d sent an email to the CAUE in Carca back on 10/10 so have sent a chaser message to them. Which is best? Slab on grade or vide santaire? What’s the best way to insulate slab on grade? How do we ensure the slab of concrete is level? If we decide to use form boards instead of breeze blocks, how do we make sure the blocks are level? For all these triple-glazed uPVC windows and doors, Uw = 0,87. For all these double-glazed uPVC windows and doors, Uw = 0,91. Hardly any difference in price, which is surprising. Here’s another one, this time inspired by the one 6×8 plan I found on the Approche Paille forum. I like this alot! The main difference is that instead of having a utility room and a separate entrance, the utility becomes a large cupboard within the hall. Also the stairs go into the same space which means they can be shut off from downstairs, reducing the amount of heat that goes up the stairs. Upstairs works well too: we get three good-sized bedrooms, space for the flue to come up from downstairs, and light through the side window. There are 8 windows in total. Those on the ground floor would be large french doors (the two on the south face) and a large triple window (trois vantaux) with a window seat to the west. These plans were drawn with SweetHome 3D – which runs a bit too slowly for 3D mode on my laptop but works just fine on James’s.